Approximately two dozen singers will perform at the public memorial and private funeral for the diva. Cadillac owners who drive to Detroit to participate will be invited to attend the funeral. Police officers normally line patrol cars and mounted forces outside the church. The church’s pastor, Bishop Charles H. Ellis III, came up with the idea. The minister’s wife, Crisette Ellis, owns a pink Cadillac. “He said, ‘Wouldn’t it be awesome to have some pink Cadillacs to pay tribute to Aretha Franklin and her legacy and all that she’s done and all that she’s meant to so many around the world?’,” Crisette Ellis told The Detroit News. The church has hosted several high profile funerals, but this one will definitely be different. Approximately two dozen performers will sing Franklin to rest. Jenifer Lewis, The Four Tops, Gladys Knight, Johnny Gill, and Ron Isley, among others, will perform at Franklin’s memorial service. Stevie Wonder, Faith Hill, Jennifer Holliday, Chaka Khan, and Jennifer Hudson will sing at the funeral. 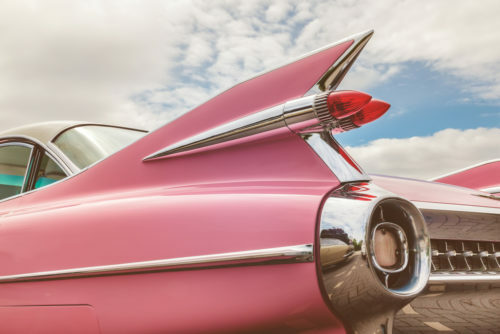 If you own a pink Cadillac and would like to participate in the Queen of Soul’s homecoming, you can register to attend online.